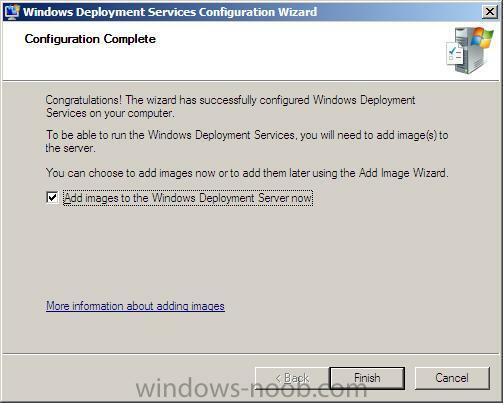 Click on Start/All Programs/Administrative tools/Windows Deployment Services. 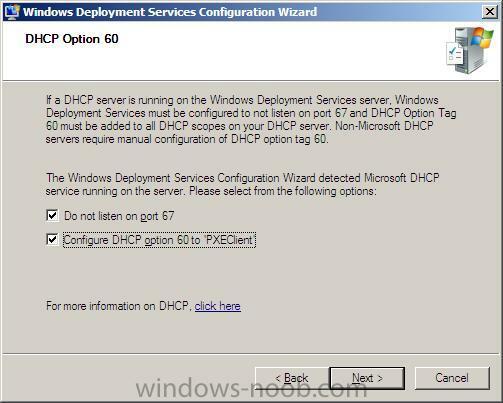 at this point we can see that WDS is not configured yet, so let's do that now. 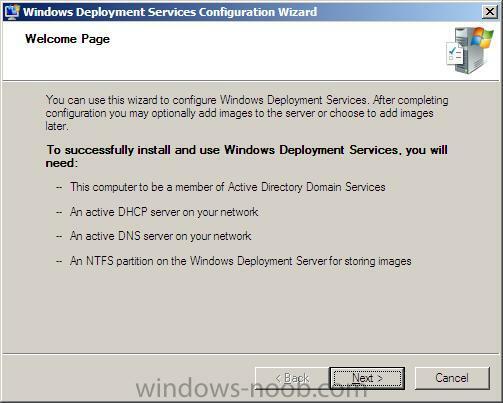 when done, you'll be told that the configuration is complete and that you can now add images to the WDS server, click on Finish (again). 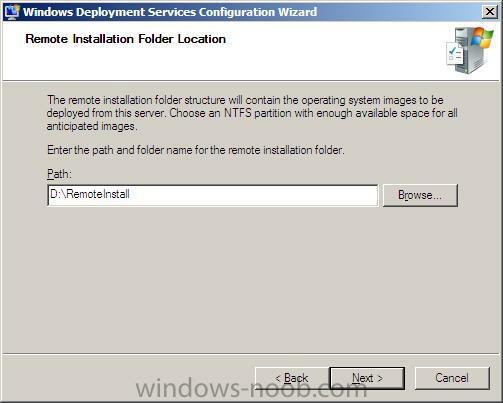 Note: You should use only the boot.wim file from the Windows Server 2008 DVD. 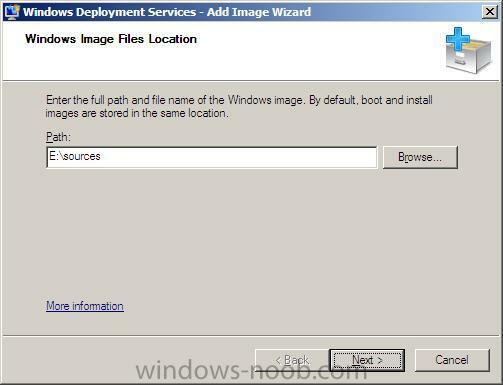 If you use the boot.wim file from the Windows Vista DVD, you will not be able to use the full functionality of Windows Deployment Services for example, multicasting. If you have the Windows Vista SP1 dvd, you can safely use that for the boot.wim. 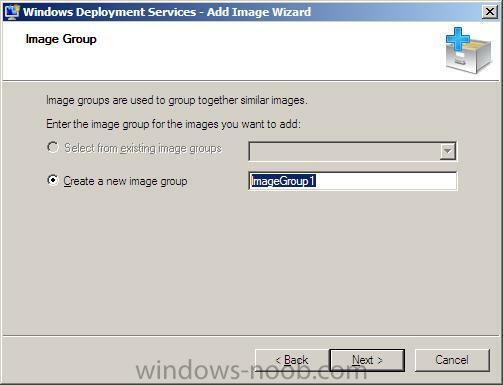 you'll be prompted to create a new image group, lets call it ImageGroup1 (the default name, you can change it later to Windows Server 2008 or Windows Vista Sp1 or whatever...). 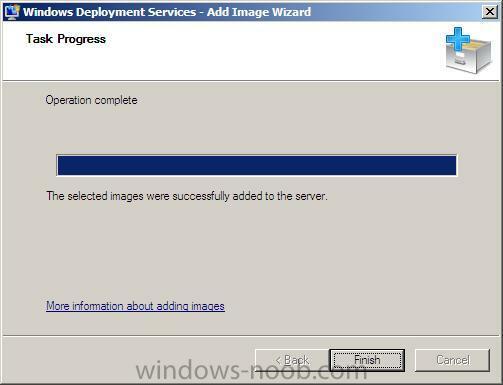 In the Install Images pane, we can see the six available images from the Windows 2008 Server DVD, these are based upon the install.wim file on the DVD. 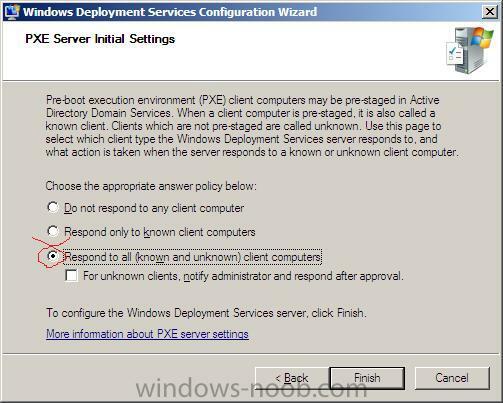 you can now PXE boot your client computers to the Windows 2008 WDS server. 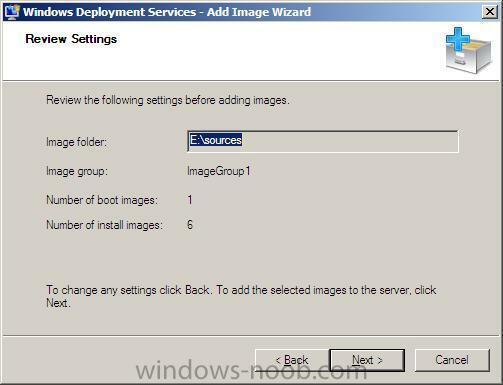 troubleshooting note: if you add a new image to WDS and attempt to pxe boot and then install the image but get an error saying something like 'could not display the list of' then make sure you have used BOOT.WIM from a Windows Server 2008 DVD or Windows Vista sp1.